Is your Toyota Service due? Can’t get to the mechanic workshop or organise alternative transport? There is a faster and easier way to ensure your Toyota Log-Book and yearly services remain up to date with Lube Mobile. 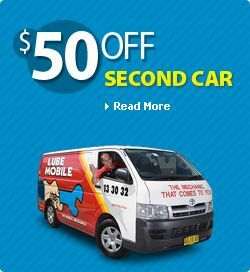 Lube Mobile is the home to world’s largest mobile car mechanic fleet ready to come to you wherever and whenever you have need of a car mechanic. Our Toyota Car Service options include a full Log-Book service using only the highest quality greases, oils, and quailty parts to manufacturer standard or better. Never mind the hassle of trying to get to a Toyota Service centre – Lube Mobile’s fully qualified mechanic can complete your next service at your chosen destination and at a time which suits you. We offer fantastic value and convenience. Simply give us a call on 13 30 32 or book your next service through our simple online booking facility. With just a few pieces of quick information regarding your vehicle’s make, model and year of manufacture, we can have a mechanic’s availability for your suburb back to you in moments. You’ll know exactly when your mechanic will areive and your service completed. All of our service options can be viewed with quotes online with full details of parts, services, and recommendations. We also do all major Toyota repairs including radiators, alternators, clutch kits and brake pads. Booking a fixed price service means you remain in control of your bills and what’s going on with your vehicle. Our mechanics complete your extensive service check list and inform you of any additional vehicle requirements ahead of time. If any other repairs are required on site the mechanic can usually do them on the spot for you. 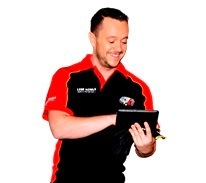 Book your Lube Mobile mechanic to meet you at your place of work, at your home, or anywhere you’ll be and enjoy the flexibility of a fully equipped mobile work shop delivered to you to look after your Toyota. We had Ron for both our cars. Ron has been punctual, friendly & helpful. This is the second time we have used Lube Mobile & we are very happy. We live far away from mechanic stores & work shift work so this service has been great & saved us a lot of stress. Thank you. The mechanic arrived on time and had previously advised by SMS that he was in transit. Mariun should be complimented on the fact that he identified a major problem with the rear tyres on the vehicle which needed me to contact the RAC for the vehicle to be moved on the back of a tray back vehicle because my vehicle was not fit to be on the road. This has now been fixed and my thanks to Mariun for his advice. Mechanic was very friendly, answered all questions, asked and made sure he diagnosed the problem correctly before starting and also gave recommendations in which I got him to do and the car is running better than it has in over a year. Thanks!